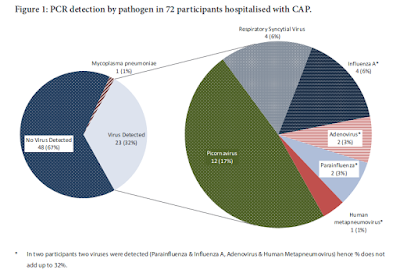 and their second outbreak last Tuesday, is reporting a second outbreak in Yangqu county. 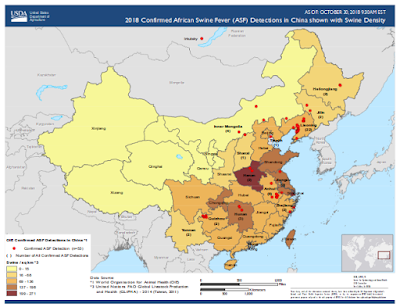 The news office of the Ministry of Agriculture and Rural Affairs was released on November 3, and the western pig plague was detected in Xilingjing Township, Yangqu County, Taiyuan City, Shanxi Province. At 12:00 on November 3, the Ministry of Agriculture and Rural Affairs received a report from the China Animal Disease Prevention and Control Center and was diagnosed by the China Center for Animal Health and Epidemiology (National Center for Animal Disease Research). Xilingjing Township, Yangqu County, Taiyuan City, Shanxi Province. A farmer has detected the African swine fever. The farmer has 47 pigs, 25 onset and 7 deaths. Immediately after the outbreak, the Ministry of Agriculture and Rural Affairs sent a steering group to the local area. The local authorities have started the emergency response mechanism as required, and adopted measures such as blockade, culling, harmless treatment, disinfection, etc., to treat all the dead and culled pigs harmlessly. At the same time, all pigs and their products are prohibited from being transferred out of the blockade area. It is forbidden to transport pigs into the blockade area. The above epidemic has been effectively disposed of. 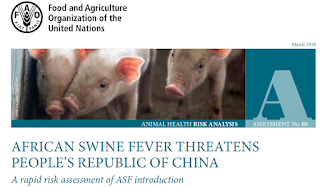 ASF continues to make inroads in Europe as well, and further spread there - and in Asia - seems inevitable (see FAO: African swine fever (ASF) threatens to spread from China to other Asian countries).